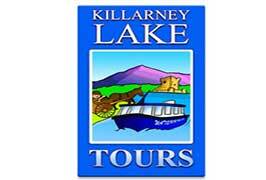 Let Killarney Lake Tours take you and your family on a truly memorable tour of Killarney Lakes. Sit back, relax and take in the sites with Killarney Lake Tours. Cruise Killarney’s beautiful lakes with the M.V Pride of the Lakes. This scenic tour offers views of Killarney’s largest and most picturesque lake, Lough Leane, heritage attractions including O’Sullivan Cascade and the monastic ruins of Inishfallen Island. 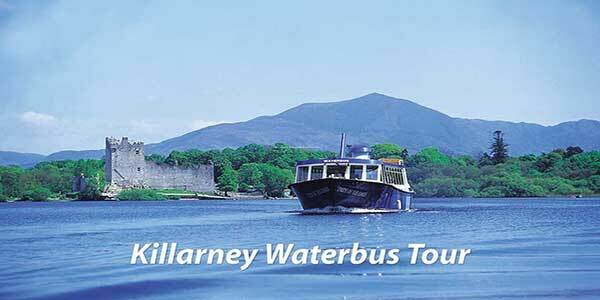 This Killarney waterbus tour is an enjoyable experience trip to relax and view Killarney lakes and mountains. Your experienced skipper will give a full commentary on the flora, fauna and historical heritage of the area. The meeting point for the Waterbus departure is Ross’s Castle. Walk through the Castle towards the lake and board the ‘MV Pride of the Lakes’ for your journey. This Killarney lake tour lasts approximately one hour. Special rates are available for groups of 15 or more. Private charters are their specialty! 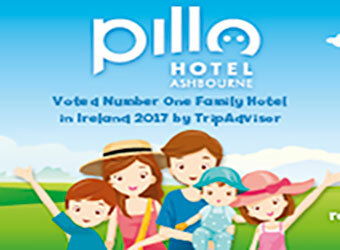 Whether you are planning a casual get-together, school tours, team building trips or big family outing. Advance reservations are required and can be made by phone or email. If you require a specific time of day, they will try to accommodate your group within their schedule. All of the above cruise on the Killarney lakes can be organised with a traditional jaunting car trip through the National Park prior to or after the waterbus tour. 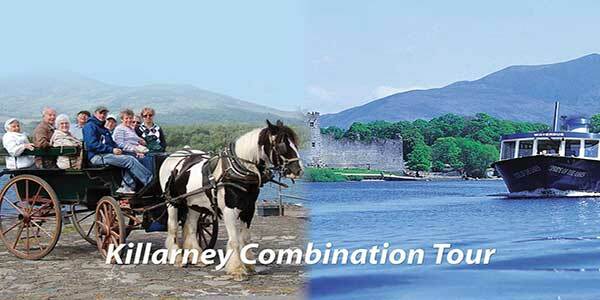 Enjoy the sights of Killarney National Park from the traditional Jaunting Car. 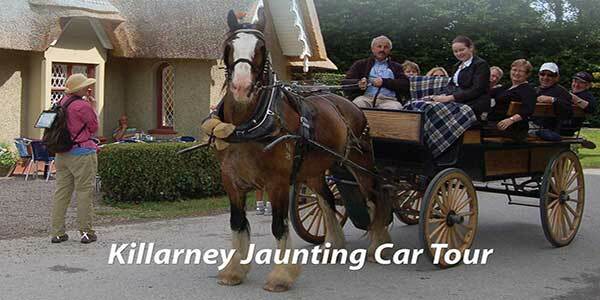 Operating all year-round, the Killarney Jaunting car trip is a “must” for every one visiting Killarney. Learn about the history, folklore and the beauty of Killarney National Park from the comfort of the traditional mode of transport; the Irish jaunting car from years gone by. 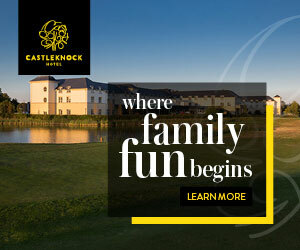 Enjoy the beautiful scenery of Killarney by taking a horse drawn jaunting car ride through the grounds of the Killarney National Park to the majestic 15th century Ross Castle on the shores of Lough Leane. The driver, known as a “jarvey”, is both a guide and a storyteller. This trip lasts approximately one hour. 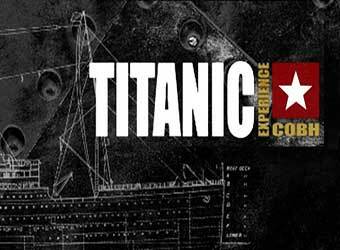 Family Fun Tip:- A minimum of 2 people are needed for this tour. The Killarney Lake Tours combination tour offers you a unique opportunity to experience the Waterbus, taking in the beauty of the Killarney lakes and a scenic tour on a traditional Jaunting Car through the National Park to Ross Castle. There is a minimum of 2 people needed for this tour. 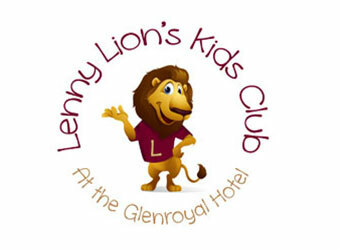 Family Fun Tip:- Discounts are applied for family and group bookings over 2 people. 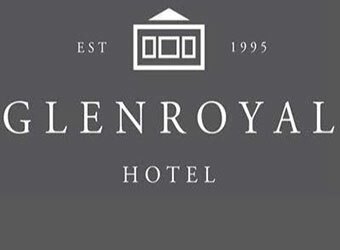 Booking Online:- You can book on line here through our booking link directly to the Killarney Lake Tours ticket sales – go to ‘Book Now’ on this page. Directions from Killarney town to Ross Castle.